Kate Summers’ teenage son, Jon, has been having nightmares. Someone is chasing him, the footsteps drawing relentlessly nearer. Jon can’t see the man’s face. He only senses that danger is coming–and there’s no way to stop it. “Never tell anyone he’s not your boy,” was the warning. And Kate hasn’t. Not since the day fifteen years ago when she was offered what she most wanted–a healthy newborn baby. He was hers to keep, provided she moved far away, for good. She’s kept her word, raising Jon in a small Oregon town, lying to him for both their sakes. Despite his gift–or curse–of premonition, Jon hasn’t divined that he was adopted illegally. But now Kate’s long-ago choices are engulfing the life she’s tried to build. Daegan O’Rourke has come to this remote corner of the Pacific Northwest to find answers only Kate can give. He understands why she’s wary of him, but there’s a far greater threat at hand. Someone is tracking Jon down–ready to kill him and anyone who gets in the way. And convincing Kate to trust him, even once she knows the whole shocking truth, is Daegan’s only hope of keeping them alive . 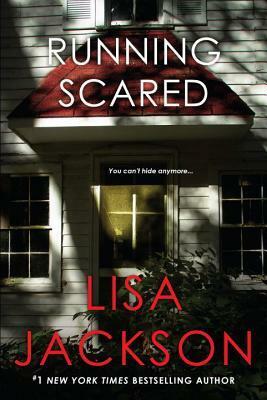 . .
Lisa Jackson is a talented writer with a gift for creating the best suspense novels I have ever read. The first few pages hooked me instantly. I knew then that I was lost. Overall, I highly recommend this book to all.